Have you ever dreamt about copping some hyped item? Bots are too expensive for you? In that case you can join Retail Crew community. This is a discord server that sells the hottest releases of the week for retail price. Have you ever dreamt about copping some hyped item? Bots are too expensive for you? And moreover, such sites as Supreme, Nike and so on have good anti-bot system. So buying professional software is just a waste of time and money. But you want some pair of limited shoes, don’t you? In that case you can join the Retail Crew community. This is a discord server that sells the hottest releases of the week for retail price. To participate in such kind of activity, you have to buy one-month membership, that is just £20.00. The staff of the group is very friendly, so feel free to contact the team if you have any issues. Retail Crew offers international shipping and only authentic items. By the way, you can postpone your bot, because this community sells sneakers and apparel to people only. 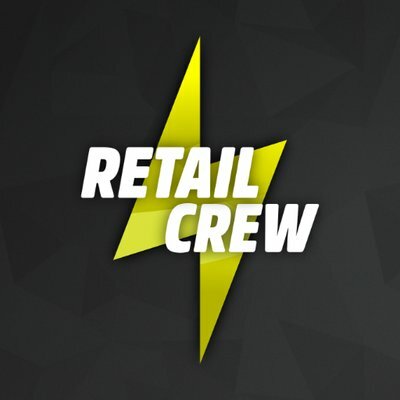 Get your second chance with Retail Crew.